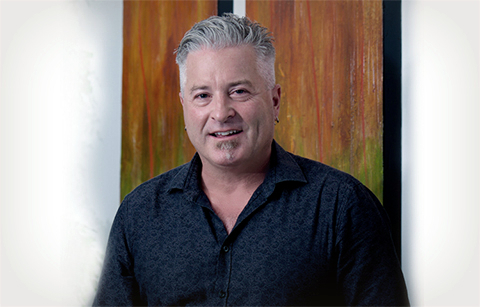 Part 3 of our recap of the explosive report by Democracy Institute founding director Patrick Basham on the United States’ unfair trade dealings with Antigua & Barbuda and Bodog founder Calvin Ayre examines the darkest part of Ayre’s long battle with American authorities: Ayre himself was targeted by a kidnapping / extortion plot in 2013 and was forced to leave the Philippines. Ayre escaped that attempt, allegedly orchestrated in part by the rogue Bodog employees who attempted to forcibly acquire Ayre’s corporate empire. Basham’s report lays part of the blame at the feet of the United States’ extra-legal effort to prosecute Ayre for offering online-gambling services to American punters. (It’s been known for years that the USA mounted a long-arm extradition attempt against Ayre.) According to Basham, the USA created an environment in which Ayre would be targeted by others, in darker ways. Basham then backfilled with a lengthy paragraph of how criminal elements have thrived in the Philippines for a long time. Kidnapping and extortion is a closet industry there, just as it is in other parts of the run, and a billionaire in a legal battle with the world’s most powerful country would’ve represented an extremely juicy plum. Without question, Philippine criminal gangs were empowered by the American action to target Ayre. One such criminal gang, whose ringleader was Ayre’s then-assistant, successfully embezzled millions of dollars from the Bodog company. Most ominously for Ayre, himself, the gang’s greed literally knew no ethical or moral bounds. 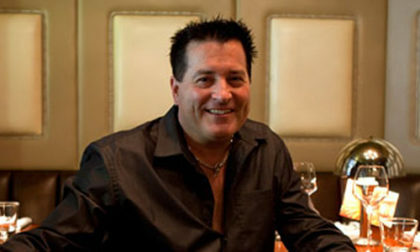 Consequently, the gang plotted to capture Ayre, with the assistance of Ayre’s own driver, and hold him hostage while he was forced to transfer his wealth to their own accounts. It is highly probable that the would-be hostage-taking and extortion episodes would have ended with Ayre’s violent death. The gang made several kidnapping attempts but, fortuitously, Ayre got wind of his increasingly precarious security situation. He promptly altered his normally predictable routine and remained closeted in his Manila home until he was able to arrange for his escape from the Philippines. Basham’s piece continues by noting that Ayre’s flight from Manila had its fortunate side as well. The forced move, which eventually found Ayre relocating to Antigua, short-circuited a long-arm extradition request filed by US authorities in relation to the 2012 indictment we explored in Part 2. At the time, several Filipino news reports hinted that Ayre was being targeted in an extradition matter, though as is typical in these matters, it usually takes years for most of the tale to emerge. The above tale also aligns roughly with the timespan of the notorious raid on a Manila customer-service business affiliated with Bodog; no charges were filed, Bodog sources ultimately alleged the raid was triggered by false allegations made to authorities by the former Bodog assistant, and the primary Filipino enforcement official who orchestrated the raid was later fired for corruption. The Basham report does not name Ayre’s assistant, though as reported ourselves in late 2013, the CalvinAyre.com site published several pieces attacking former Bodog employees and alleged “gang” members in connection with whatever was going on in Manila. It’s not hard to figure out who that “assistant” might be, if one goes back to check a few of those old CalvinAyre.com stories. Back then we promised we’d provide an update on the story when more info emerged. It’s been four years, but emerged it has. There’s also the question of how believable this tale is, and the answer is: Quite. Remember, Basham’s Democracy Institute is a prominent social-matters think tank, and this piece was subject to peer review by a large number of advisors, primarily higher-education scholars and researchers and prominent members of similar think tanks. That would have necessary included verification of evidence to support the claims being made in Basham’s piece, even if that evidence itself need not be published. Also, the other portion of Basham’s report dealt with the ongoing USA-Antigua WTO trade battle over online gambling, and that was strong enough to garner prominent mainstream coverage via last week’s LA Times feature. There’s no reason to believe that the Ayre portion of the Basham report is any less substantive or accurate. It’s all quite a tale. 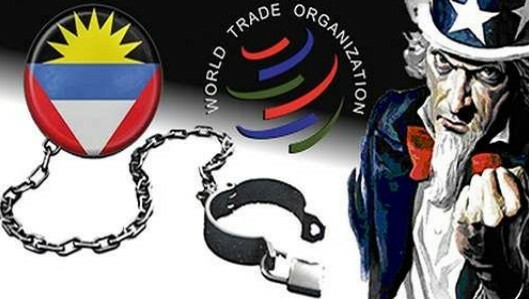 When added with the complicated summaries of the United States’ WTO trade battle with Antigua and Barbuda and the way the USA’s prosecution of Ayre connects to that trade battle, Basham’s well-researched effort ought to make a lot of people rethink the situation. It’s unlikely to make the USA do a total about-face in the Antigua-WTO matter, but getting all of this dirty laundry aired really can’t hurt.